Right after Reliance Jio introducing a new yearly prepaid plan, state-run telecom service provider BSNL has launched a new annual plan of Rs 1,097, providing benefits for 365 days. 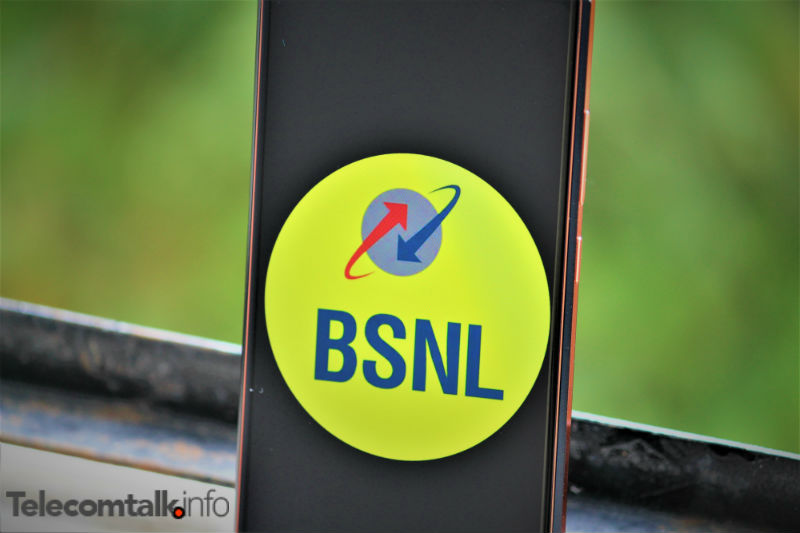 Sadly, this plan from BSNL comes with just data and voice calling benefits, unlike Jio’s prepaid plan which gives data, voice calling and SMS benefits for the same period. In addition, BSNL has launched this new plan only in Kolkata circle and it will be valid until January 6, 2019. Having said that, the benefits of this new plan from BSNL doesn’t even come close to what Jio is offering with its new plan of Rs 1,699. But it’s an excellent plan for heavy voice-calling users. Telecom operator Vodafone India has introduced a new prepaid plan of Rs 597 for both feature phone and smartphone users. The Rs 597 prepaid recharge offers benefits for 168 days for feature phone users and the same plan providers benefits for 112 days for smartphone users. Notably, Bharti Airtel also has a Rs 597 prepaid recharge solely for smartphone users, unlike Vodafone. 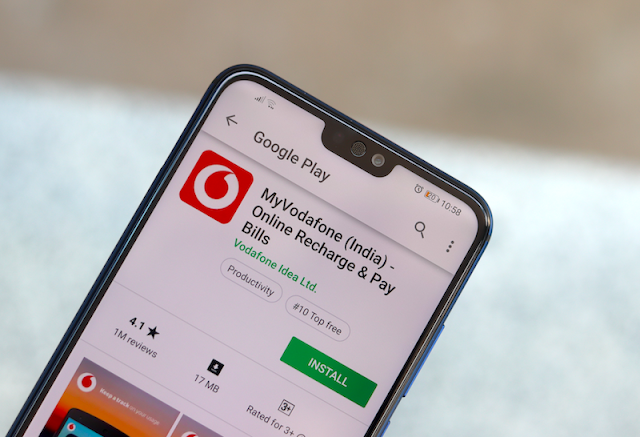 With its new prepaid plan of Rs 597, Vodafone is giving a total of 10GB data benefit, unlimited voice calls with a cap and 100 text messages per day. So smartphone users can enjoy these benefits for 112 days, whereas these benefits are exceptional for feature phone users because it’s valid for 168 days. The data benefit offered by this plan can be enjoyed on 4G or 3G or 2G. Talking about the benefits offered by this plan, users will get a total of 25GB data which should be used during the entire plan validity of 365 days. The plan also comes bundled with unlimited voice calling benefit, but again, you can make voice calls to numbers located in Mumbai and Delhi circles. On the brighter side, BSNL is not capping voice calls to 250 minutes or 1000 minutes like Vodafone Idea. Also, there’s no after FUP speed provided by BSNL with this prepaid plan, which is underwhelming. Right now, the best yearly prepaid plan is provided by the Mukesh Ambani-led Reliance Jio itself. Jio, which recently amassed 250 million subscribers has introduced a prepaid plan of Rs 1,699, offering benefits for 365 days. Under the newly launched plan, Jio is giving its 1.5GB of 4G data per day, unlimited voice calls which can be used across all the 22 telecom circles and 100 SMS per day. As you can see, BSNL’s newly introduced plan of Rs 1,097 falls short of Jio’s plan by a huge margin. Even the voice calling and data benefit offered by Jio are nowhere close to what Jio’s providing. In the last couple of years, telecom subscribers in the country have seen a considerable amount of data-centric plans launching by the telcos, but in recent times, private telcos such as Bharti Airtel and Vodafone Idea are coming up with voice-only plans aimed at feature phone users and basic smartphone users. Vodafone Idea and Airtel came up with Active Recharges and Smart Recharge schemes under which they’re bundling talk time, data and rate cutter benefits with a validity of 28 days to 84 days. Alternatively, they also launched a plethora of combo prepaid plans with data, voice calling and SMS benefits for a longer duration. For example, Vodafone India introduced a Rs 189 prepaid plan which is giving unlimited voice calling with a limit, 2GB of data for a period of 56 days. Before this plan’s arrival, we haven’t seen any prepaid plan with 56-day validity under Rs 200. Subsequently, Airtel introduced a Rs 289 prepaid recharge which is giving 4GB of data and unlimited voice calling for 84 days to select users across the country. It will be interesting to see how BSNL reacts to these tariff plans from Airtel and Vodafone Idea. Talking about the benefits offered by the plan, users will get unlimited local, STD and roaming calls within India, 10GB of 4G/3G data and 100 SMS per day for 112 days. Sadly, Vodafone is limiting the voice calls at 250 minutes per day, 1000 minutes per week and the calls can only be made to 100 unique numbers during the entire validity period. As mentioned above, the validity for smartphone users is 112 days, and for feature phone users, the same benefits can be availed for 168 days. Airtel was the first operator to launch the Rs 597 prepaid plan. Airtel is offering this plan for prepaid users in some circles, and it offers unlimited voice calls without any FUP limit, 100 SMS per day and 10GB data for 168 days. While Vodafone is offering the same plan for 112 days for smartphone users, Airtel is providing the same for 168 days. It’s unknown whether Airtel has any special validity for feature phone users. As seen with some other tariff plans launched recently by Vodafone, this new Rs 597 plan is also valid in the company’s 4G circles. For example, Vodafone introduced a Rs 159 prepaid plan offering benefits of 1GB data per day, unlimited voice calls and 100 SMS per day for 28 days is also being launched in only the company’s 4G circles. First and foremost, this plan from Vodafone is aimed at voice-calling users. For instance, Vodafone did not launch a single prepaid plan under Rs 1,000 with validity over 100 days. But this Rs 597 plan offers benefits for 112 days for smartphone users and for feature phone users, it’s the best bet. For the unaware, Reliance Jio recently started its JioPhone Monsoon Hungama offer, under which the telco is giving a JioPhone at just Rs 501 for users exchanging their old working feature phone. Also, at the time of availing the feature phone offer, Jio has set a mandate that customers should recharge with Rs 594 plan, which gives benefits for six months. Vodafone’s Rs 597 plan for feature phone users takes on the same recharge plan from Jio. In recent times, Vodafone has been aggressively launching new prepaid plans every now and then. The country’ second largest telco recently unveiled three plans of Rs 209, Rs 479 and Rs 529, offering 1.5GB daily data, unlimited voice calls with a cap and 100 SMS per day for 28 days, 84 days and 90 days respectively.